Your workout has never been this fun. Núcleo means “core”, in Spanish. 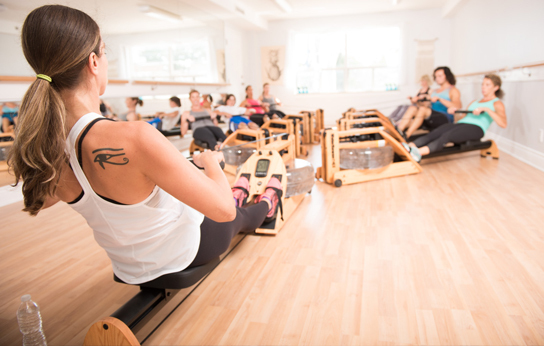 Core development and strength are the focus of Núcleo Fitness philosophy, which combines the powerful effects of Pilates with the cardio conditioning of Water Rowing. 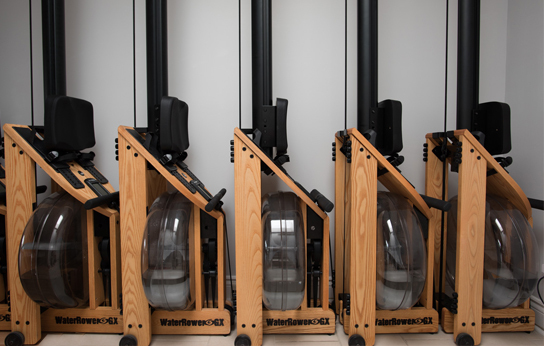 Pairing Pilates mat classes with vigorous Water Rowing classes provides clients with the opportunity to balance all muscle groups’ strength and flexibility, with an emphasis on challenging the core muscles in each movement. We offer unparalleled and unique classes in a boutique studio environment, where class sizes are small (no more than 12 students in any class) and individual client attention is paramount. Our passionate practitioners will transform your mind and body, by increasing stamina and improving overall health, while achieving new and exciting physical well-being. Using breath to strengthen and lengthen, our Núcleo crew will guide you through powerful Pilates mat classes, take you on a full body cardio adventure on our fleet of water rowers, or navigate you through a fun fusion class that works your body and focuses your mind. Be prepared to feel the rhythm, hear the water, and ride the waves, challenging yourself while still being able to control your own intensity levels. Dedicated to building inner strength, and endurance while burning calories and sculpting muscle in a fun, client-focused fitness setting, Núcleo Fitness will elevate your overall performance, taking your work out to the next level.